As you know MS2 has been published in Korea for long time. Maplestory has attracted plenty of fans from China these years, too. So Maplestory 2 was expected to be released in China. Now all's dream come true. Developed in-house and launched in Korea in July 2015, MapleStory 2 is a massively multiplayer online role-playing game. In addition to its endearing 3D graphics, its ‘big adventure’ setting features dynamic action sequences and provides players with the ability to create their own exciting game contents. MapleStory 2 received the Grand Prize and Technology Creativity Prize (Character Category) at the 2015 Korea Game Awards in November 2015. It has been widely recognized as the most popular and the highest quality PC online games launched in 2015. 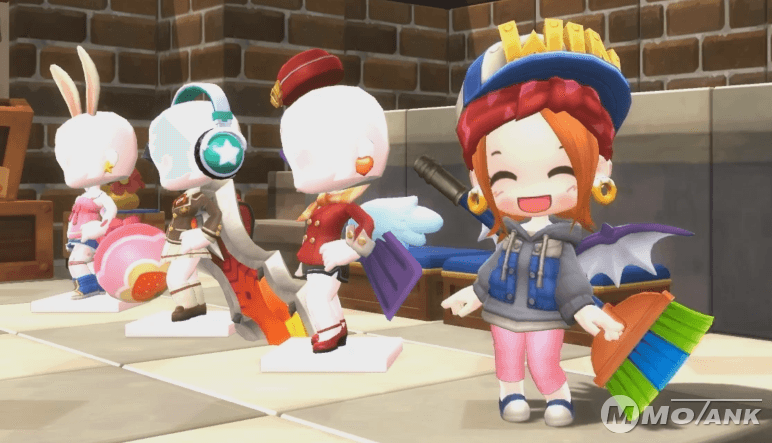 Nexon will work with Tencent, China’s leading internet service company, to customize MapleStory 2 to best meet local tastes and preferences. The partnership with Tencent marks a significant step towards Nexon’s goal to service MapleStory 2 internationally. Whatever, I believe many guys are waiting US Server Maplestory 2 come to us like me. We are also preparing for this new version. The key task is to look for the methods of making Maplestory 2 mesos faster. And how to level character quick and safe. If you would like to buy the service, Mmotank store will be your best choice.